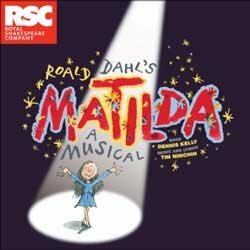 For their festive family show over the 2010/11 winter, the RSC went for an adaptation of the Roald Dahl story to create Matilda, A Musical which has been, by all accounts, a runaway success for them. Dennis Kelly was responsible for the book but the production’s masterstroke has been to employ Tim Minchin, whose impish charm is wholly suited to the show, to do the music and lyrics. Directed by Matthew Warchus, the slightly tweaked story follows the prodigiously talented young girl Matilda, as she battles against the cruel indifference of her parents and the fearsome child-hating headmistress of her new school. The employment of Minchin is a perfect fit, his anarchic wit feels like something Dahl himself would have approved of but pleasingly Minchin has not dumbed down at all in his songwriting, he has simply removed the profanity. His lyrics are absolutely sensational at times: incredibly witty on multiple levels (the kids to the left of me looked over a few times as I dissolved in hysterics at humour that thankfully flew over their heads) and stuffed full of intricate but engaging wordplay which fit the occasion perfectly: the alphabetic progression of ‘School Song’ being perhaps the best example of a seemingly simple conceit which is just bursting with invention. Peter Darling’s choreography worked like a dream, especially when it allowed for adults and children to dance together, I really liked the routine to opening number ‘Miracle’ in that respect. Rob Howell’s design allows for maximum playing space with some lovely touches, the desks were my favourite, and his scrabble-tile-based décor paid nice homage to Quentin Blake whilst establishing its own identity for this production. Warchus has ensured that the show is full of brilliantly conceived sequences which managed to replicate some of the best moments from the story (all I will say is pigtails, and cake) in a most wonderful way. Moments of child-like wonder like the opening to the second act with the kids entering the stage down a slide and then performing a lovely song with some great movement using swings which flew out right over the heads of the audience, the final flourish as Matilda and Miss Honey leave the stage, were truly magical. Acting-wise, the team of kids that we got were all extremely good and unnervingly confident in their performances. Rebecca Stoll was a lovably cheeky Lavender and in a beefed up role for Bruce, Jake Bailey was an absolute star. But as the titular diminutive heroine, Josie Griffiths was absolutely note-perfect. Adorable without being cutesy, confident yet with a hint of vulnerability, strong in both her acting and singing, she was just brilliant and it is all the more remarkable considering that the RSC has managed to find three girls who can cover this highly demanding role, all of whom have been scoring great notices. The adults were also excellent across the board: Paul Kaye not flinching from the wincing cruelty of his father but managing to convey a huge physical charisma too (don’t miss his little turn in the second half of the interval, worth foregoing an ice-cream for), Josie Walker’s ballroom dancing obsessed mother was another monstrous delight with some nifty moves and strong voice and Michael Rouse covered several smaller roles, including the most flexible dance teacher Rudolpho in a very clinging costume, with ease. However, it is Bertie Carvel’s magnificent turn as Miss Trunchbull and Lauren Ward’s sweetly caring Miss Honey that were most impressive. Carvel really is the Quentin Blake illustration come to life, twisted and bulked-up into a towering, menacing presence and a vocal turn truly suffused with malevolence. 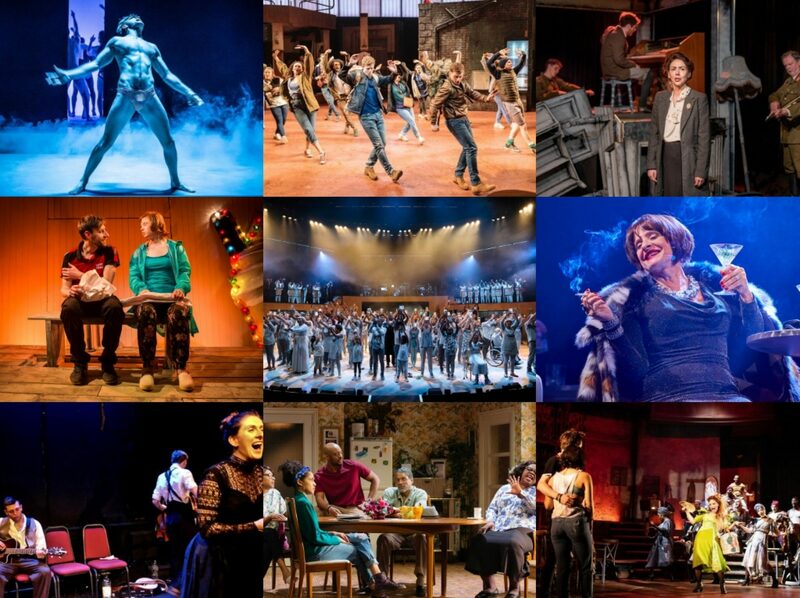 It is a perfectly realised performance and it feels as close to the spirit of Dahl as it could ever be. But Ward’s Miss Honey was also beautifully well done with an ostensibly too-good-to-be-true character, bringing real emotion to the role that made her gorgeously appealing, the moment when Matilda hugs her teacher after showing a little of bit of interest in her was just lovely. But…I didn’t come out of the show thinking it was the best new musical I’ve seen in recent years as many, many people have been saying. Part of this was possibly due to the weight of expectation but it is also down to the type of musical that has been created here which didn’t quite hit my buttons as fully as I would have wanted. For all the lyrical brilliance of Minchin’s songs, none of them were particularly catchy or memorable and in mining the slightly unconventional path that the team do here, I was left a little disappointed that the final song wasn’t a rousing number featuring Matilda heavily or a reprise of an earlier song. This speaks more to my tastes than anything but it was a major reason why this was closer to a four star show than a five star for me. Likewise, my niggles with the book will probably be unique to me. For all the joyous invention onstage, and I realise this was probably a logistical thing as much as anything, there was a curious underplaying of Matilda’s special abilities. Maybe they don’t play as big a part in the novel as the child in me remembers but I was surprised that they weren’t more significant in the narrative here, the chalk writing on the blackboard is brilliantly done but there’s no lead up to it and Miss Trunchbull’s emotional collapse is resultantly far too quick without some sense that Matilda has been playing with her mind for a while to defeat this monolithic enemy. I definitely agree with the point about Matilda's powers – if I remember correctly we don't get to see any evidence of them at all in the first half. I would have liked maybe one more scene, earlier, along those lines. However I do think it was wise to emphasise the point that her powers were basically just an overflow of her intelligence and frustrations, rather than some great supernatural force (as they seemed in the film). In fact I agree with most of your (minor) criticisms, but personally I enjoyed it more than enough to make up for those entirely. The songs aren't that catchy, but some of the lyrics have really stuck in my head. I loved the song that used each of the letters of the alphabet. Great to read this review and also to find there's another curmudgeon out there who wants to see musicals that have songs you go out singing.